John 10:11- I am the good shepherd: the good shepherd giveth his life for the sheep. Print the sheep template out. Cut the head and square with words in it out. Lay aside. Now lets add cotton balls to the plastic bowl. Take you bowl and turn it upside down. Have the child add all 9 cotton balls around the bowl by taping them on. Next add you sheep head right in the middle by taping that on too. Take you two clothes pins and clip those on to the bowl for feet. Now stand it up. Take your square with words and clip a clothes pin to that and stand it up. The scripture is from John 10:11. 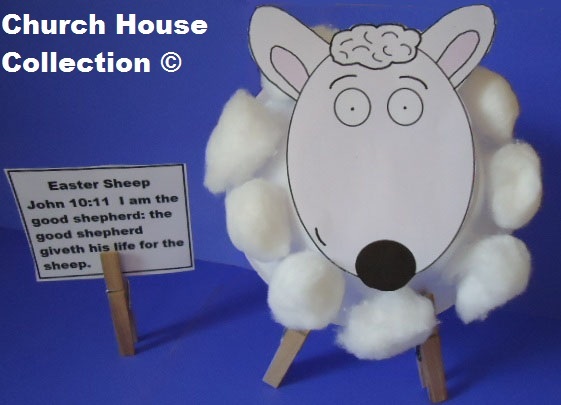 Use this for Easter and tell the children how Jesus gave his life for the sheep. He died on a cross so we could be forgiven of our sins. Then he was put into the tomb and rose on the third day. 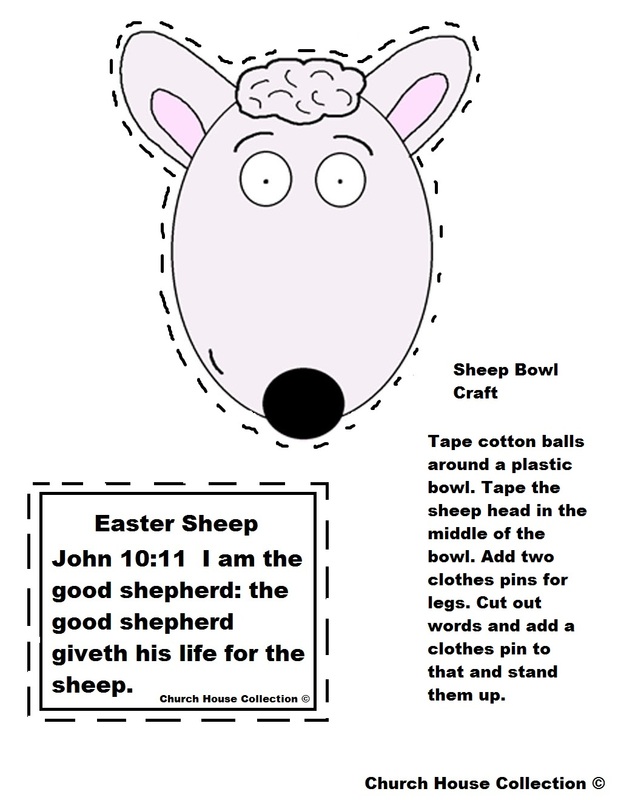 Use this with our Easter Sheep Lesson plan.